In our busy lives, who has time to waste looking for things we need and want? Mill Park- Our popular declutter and Eco Organiser® workshops are popping up everywhere. Declutter and Simplify your Life workshop, without costing the earth is coming your way on the 7th June. Life is too short to be looking for stuff, why not get sorted and eco organised? Did you know the Top 3 New Year’s Resolutions are? 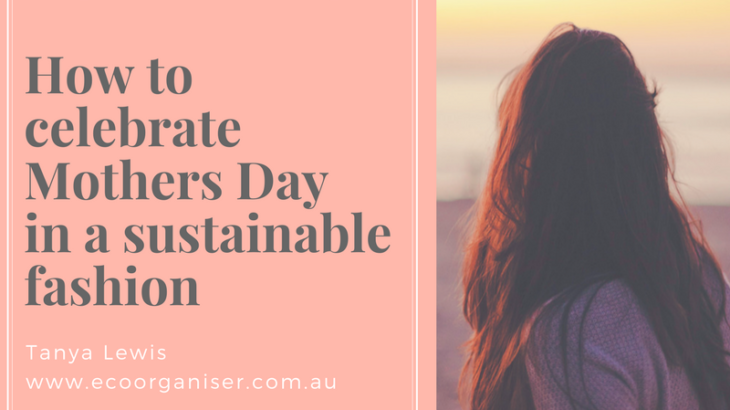 Looking for ways to celebrate Mothers Day in a sustainable fashion, without adding clutter? Let’s face it; we are enticed to purchase more stuff, but how many fluffy slippers, dressing gowns, new toasters and frying pans to make the perfect scrambled eggs does she really need? Do we really need to ramp up our consumption of ‘stuff’ just because it’s Mothers Day, to let her know that we love her? Let’s take a step back from that traditional Mothers Day gift list and rethink. 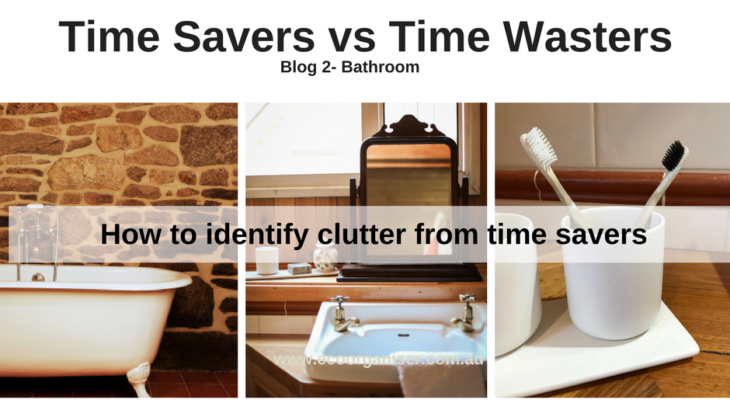 Do you crave freedom from clutter and want to simplify life? In our busy lives, who has time to waste looking for things? When we need to be heading out the door in the morning, we need an organised bathroom to shave, shower and get sorted. 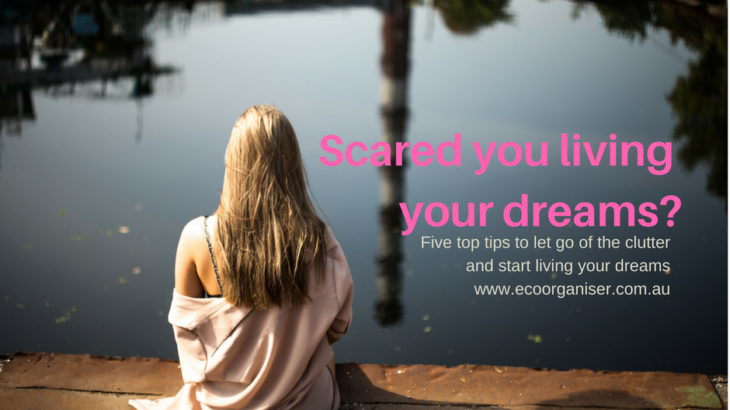 Too often we don’t live our dreams, reasons vary from lack of time, money, energy or we are scared to step outside our comfort zone; and worry what others might think or say. On my recent trip to Europe I fulfilled so many of my life’s visions, and in some instances, I stepped well and truly outside my comfort zone. The pleasure for me was removing doubt, fear and anxiety each and every time I conquered things, that in the past had stopped me from living my dreams. We have a knack of building walls around us to keep out the scary stuff, holding in the self-doubt, self-loathing and sadly we are missing out of some the really good stuff. 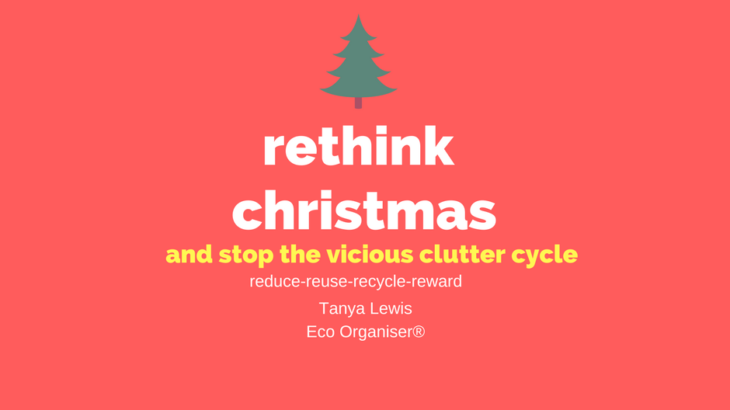 As Eco Organiser® writes this blog, stores are spruiking it’s less than 3 weeks to Christmas, their shelves are heaving with decorations and gifts for sale. In other words they are saying – Buy Now! Consume! Don’t miss out! We declutter to simplify life, although how do we stop the vicious clutter cycle? That’s stuff that slips in unnoticed, it comes in out of habit, routine, automated or our inability to say no thank you. Feeding the clutter cycle is the way we shop on impulse, for entertainment, social outlet or to fulfill a need. 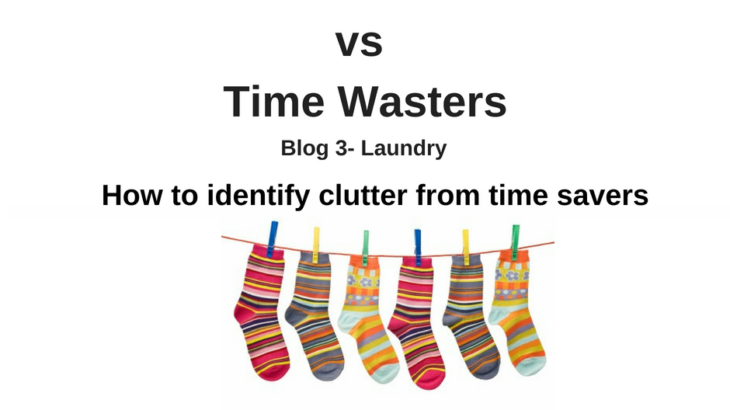 What is the vicious clutter cycle? 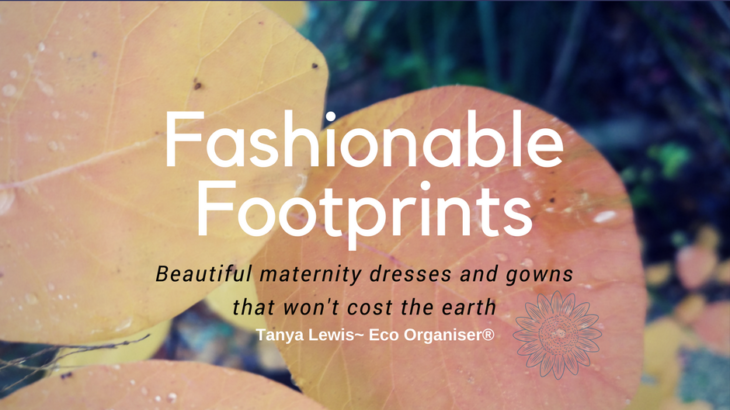 With our growing passion for fashion so to does our growing carbon footprint, leaving a mess for the next generation to clean up. Australians are the world’s second largest consumers of textiles, buying an average of 27 kilograms of new clothing and other textiles each year. With more than 500,000 tonnes of textiles and leather end up in landfill each year.